Tough choice! Steamed steak pudding, Lancashire hotpot, cottage pie - lovely comfort foods. But there's one thing that stands out from all other cuisines - BREAD SAUCE. Scott Walliss - Steak and ale pie with lots of veg. Looks like an interesting book, but it's a shame if there are only English recipes in it. 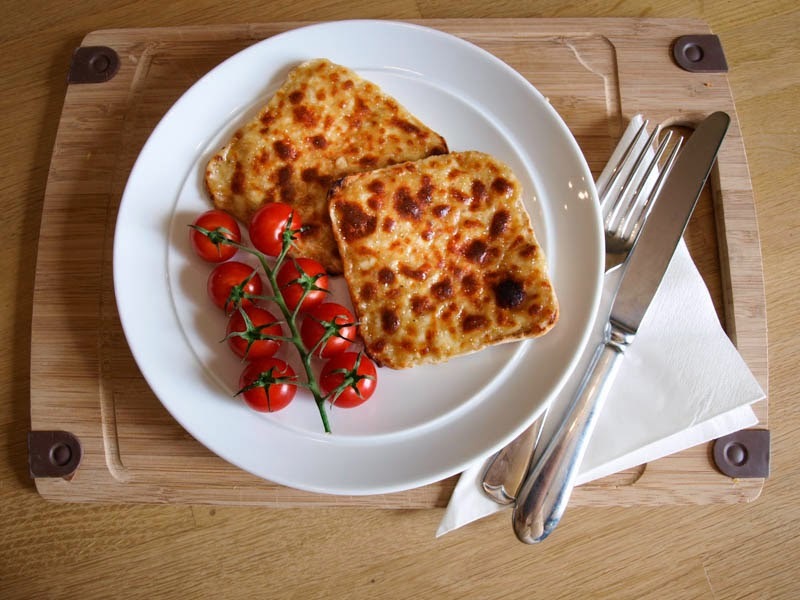 I could eat that rarebit right now, it looks delicious! My favourite "British' recipe would have to be shepherd's pie, but I now realise the French have something very similar. Which just goes to show that either there are no truly original recipes, or that anything good will have an international version. I love a Sunday roast! So much choice but I think I would have to go with Fish and Chips or Yorkshire pud! Roast beef, Yorkshire puddings, and all the trimmings. Can't beat a Cornish pasty! I think it would be Eton Mess for me (I know, not much "cooking" unless you make your own meringue!). Steak and ale pie with mash and veg! Genuinely .... Rarebit - closely followed by a Roast Beef dinner with Yorkshire pudding. A great review of this book. I have it coming in my book reviews for April. Definitely sounds like a good started book! Like you said though, it's surprising there isn't more scot/welsh or northern irish recipes in there. I too am wondering what makes this rarebit more English than Welsh, but either way, you can't beat a good one. Is there an English cullen skink in there too? I am not sure I have a favourite, I am currently investigating lots of regional recipes. I know yorkshire puddings is my sons. 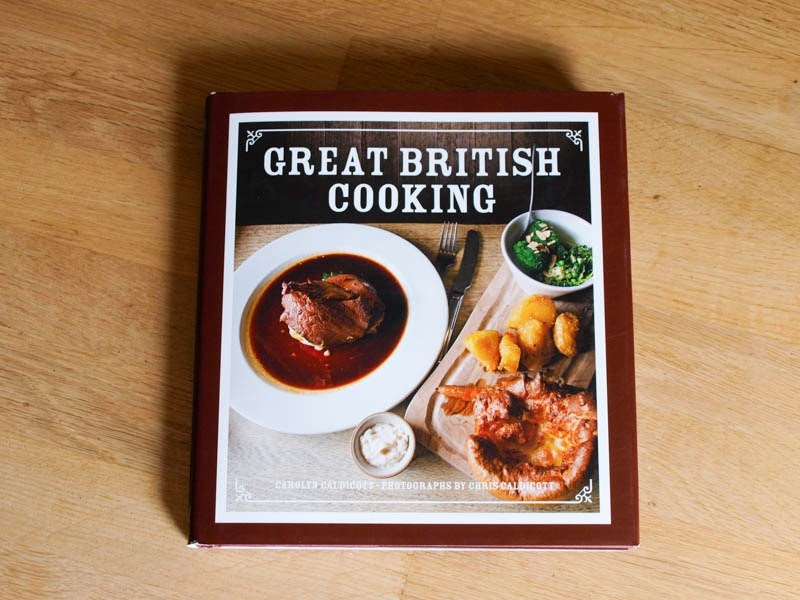 I would have expected some old fashioned British recipes in it, does it have many vegetarian recipes in it??? not much in the way of veggie dishes Nanya. Cauliflower Cheese and English Rarebit and bubble and squeak, but not much in the way of main course dishes. Fish pie! The rarebit looks delish! ha ha! No, Chloe there isn't. I can only think that the rarebit uses English Cheddar, it does seem a strange title though. It really is a good recipe, tastes a bit like what my Mum used to make. Oh no, that a tragedy! my grill is in the top oven so doesn't come in for any ill treatment. I know I would be lost without my grill. Since seeing the rarebit recipe I can't think of anything else! Love a good fry up or roast too but that rarebit has stolen my taste buds! That's right you tell em Janice. Us smaller countries are still part of Britain - at least I think we are ;-) Love rarebit or just simple cheese on toast. I love a good steak and ale pie! I'm not sure it's a classic English dish but I love cheese and potato pie. Got to be a sunday roast! mmmmmm yorkshire puddings and gravy!!! Beef casserole and dumplings! Yummy!! Love cottage pie with lashings of gravy and green beans, finished with a dollop of tomato sauce on top.